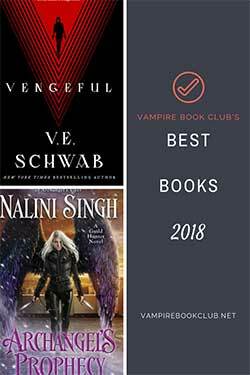 I realize many of my favorite books — and recommended series — may not have their first few books reviewed on VBC. I’d like to get everyone caught up. In the coming weeks, I’m going to try and get reviews up-to-date on series from two of my favorite authors: Richelle Mead for her Georgina Kincaid series and Jeaniene Frost for Night Huntress. 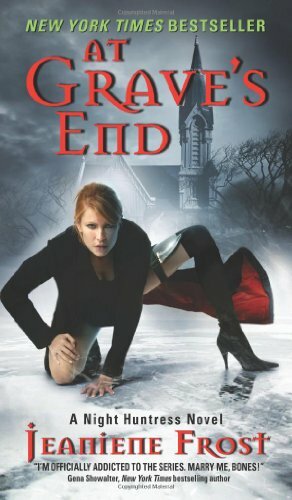 Note: While this review is spoiler-free for At Grave’s End, it will give away key points from earlier Night Huntress novels. If you haven’t entered the great world of Cat and Bones, please read our review of the first novel Halfway to the Grave instead. Jeaniene Frost has never been one to give her characters a break. 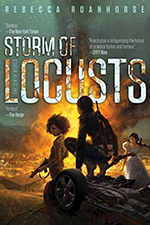 One might think after ill-advised sacrifices for love, being kidnapped by one’s own father, impromptu vampire marriage and, well, having to deal with Cat’s mom in general, it’d be hard to find Cat and her husband Bones in worse situations. But, of course, it just gets worse — and I ate up every little bit of it. I won’t give away the big double-take, freak-out moment. But, in other events, Cat’s mom does admit she wasn’t raped by a vampire, but it doesn’t make her any nicer to her half-vampire daughter. Dear ol’ dad is back in action and thinks taking out his daughter will make the other vampires quit teasing him about siring the half-breed Red Reaper. In At Grave’s End, Cat and Bones’ relationship is solid and the focus shifts more to their interactions with others — and how those around them deal with C&B as a team. Tate refuses to give up on Cat, and her internal conflict over her good friend making blatant moves on her — in front of her husband — showcases the character depth of this series. This third book in the Night Huntress series is when the door is opened to more of the supporting characters. We meet additional vampires that will make frequent appearances later including Vlad (yep, that one). The robust characters in this book help keep the reader grounded as the plot takes us to emotional highs and lows. Dealing with the potentiality and reality of death, what happens when love is one-sided and the importance of knowing who truly has your back are heavy themes, but At Grave’s End handles them with humor and honesty. You’ll still get Cat and Bones in love, but At Grave’s End is when you get to meet more Night Huntress characters worthy of your love. Doesn’t this book just sound dandy! Thanks for sharing today. LOVE this series. Cat and Bones are delicious together. Fabulous review! I do love this series too, it’s actually the very first set of books I reviewed when I started my review blog! 🙂 So much fun and I am constantly recommending them to my friends!